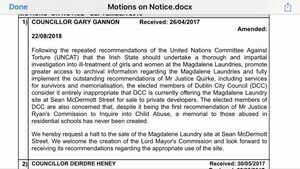 An RTÉ News report by Sharon Ní Bheoláin on the last remaining magdalene laundry on Sean McDermott Street, Dublin 1. It followed the decision made last week by Dublin City Council to preserve the site based on a motion put forward by Social Democrats Cllr Gary Gannon, for Dublin’s North Inner City, to stop the sale of the site to a Japanese hotel chain. 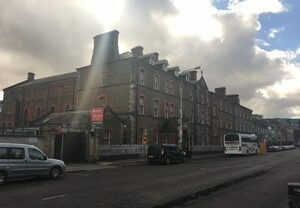 Posted in Misc and tagged Magdalene Laundry, RTE, Sean McDermott Street at 12:04 pm on September 21, 2018 by Bodger. 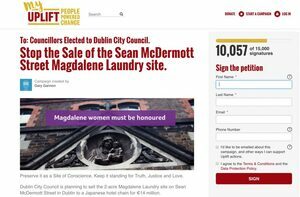 Posted in Misc and tagged Dublin Inquirer, Magdalene Laundry, Sean McDermott Street at 12:00 pm on March 14, 2018 by Bodger.